HERPA Models: one limited edition collectable, molded plastic airliner model in a 1/200th scale of an Embraer ERJ-190 in the KLM - Royal Dutch Airlines NEW Color Scheme. With titles Cityhopper. Airframe Registration PH-EXD. This model is constructed of molded plastic with some metal parts. Model Stand is included. The product was released in May, 2016. HERPA Models: one limited edition collectable, die-cast metal airliner model in a 1/200th scale of a Fokker F-70 in the KLM – Royal Dutch Airlines Special Thank you to the Fokker Dutch Manufacturer. Colors Scheme. With Cityhopper titles. Airframe Registration PH-KZU. Model Stand is included. This model is constructed of die-cast metal with some plastic parts. This product is available beginning in October 2017. HERPA Models: one limited edition collectable, die-cast airliner model in a 1/200th scale of a Vickers Viscount 803 in the KLM ? Royal Dutch Airlines Old Delivery Colors. Airframe Registration PH-VIG. ?This model is constructed of die-cast metal with some plastic parts. This product is available beginning in February, 2015. HERPA Models: one limited edition, collectible die cast airliner model in 1/200 scale of an Tupolev TU-154M in KMV - Kavkazskie Mineralnye Vody Current Colors. Airframe Registration RA-85746. The model is constructed of metal with some plastic parts. This product was released in July, 2010. HERPA Models: one limited edition, collectible die-cast metal airliner model in 1/200th scale of an Vickers Viscount 804 in the LOT ? Polish Airlines Old 1960?s Colors. Airframe Registration SP-LVC. This model is constructed of die-cast metal, molded with some plastic parts. This product was released in April, 2012. HERPA Models: one limited edition collectable, die-cast airliner model in a 1/200th scale of an Antonov AN-24B in the LOT � Polish Airlines Last Colors. Airframe Registration SP-LTZ. �This model is constructed of die-cast metal with some plastic parts. This product is available beginning in November, 2014. HERPA Models:one limited edition collectible, fully assembled, and highly detailed die cast airliner model, in a 1/200th scale of a NEW Mold Boeing B747-430 in the Lufthansa Airlines NEW 2018’s Color Scheme. With titles Kiel. Airframe 1Registration D-ABVM. This model is constructed of die-cast metal with some plastic parts. Removable landing gears and a Model Stand is included. This is a collectable model, not suitable for children under the age of 14 years. 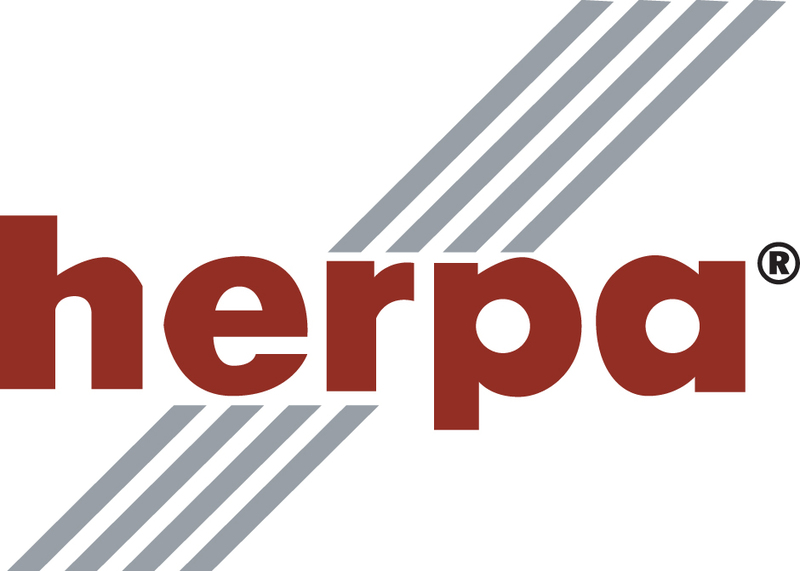 The product was first released in May, 2019. Herpa Models: one limited edition, collectible die cast airliner model in 1/200 scale of an Fokker F-50 in the Lufthansa Airlines Old ?Team Lufthansa? Colors. Airframe Registration D-AFKL. The model is constructed of die-cast metal with some plastic parts. This product was released in December, 2010. HERPA Models: one limited edition collectible, fully assembled, and highly detailed die cast airliner model, in a 1/200th scale of a Lockheed L-1649A Super Star in the Lufthansa Airlines Old 1950’s Colors Scheme. 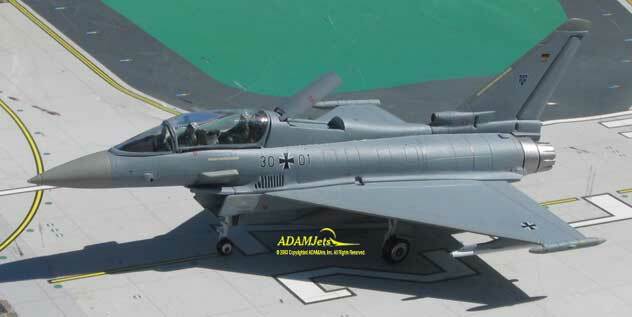 Airframe Registration D-ALOL. The model is constructed of die-cast metal with some plastic parts. This is a collectable model, not suitable for children under the age of 14 years. This product was first released in August, 2019. HERPA Models: one limited edition collectable, molded plastic model in a 1/200th scale of a McDonnell Douglas MD-11F in the Lufthansa Cargo Airlines Old “100 Years of Air Cargo” Colors. Airframe Registrations D-ALCC. This model is constructed of molded plastic with some metal parts. This product is available beginning in February, 2014. 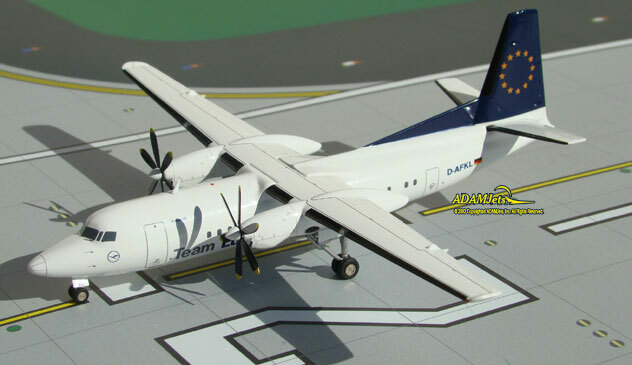 HERPA Model: one limited edition collectable, die-cast airliner model in a 1/200th scale of a Bombardier DHC-8-402Q Dash 8 in the LUX air Airlines Current Colors. Airframe Registration LX-LGM. This model is constructed of die-cast metal with some plastic parts. This product is available beginning in October, 2013. 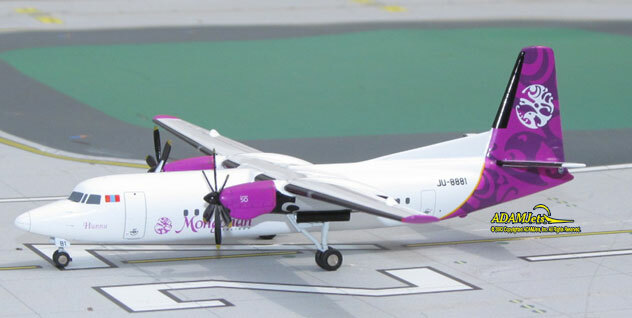 HERPA Models: one limited edition, collectible die-cast metal airliner model in 1/200th scale of an Bombardier Dash 8- 402Q in the Malev Hungarian Airlines RetroColors. Registration HA-LQD. This model is constructed of die-cast metal molded with some plastic parts. This product was released in November, 2011. Herpa Models: one limited edition, collectible die-cast metal airliner model in 1/500th scale of an McDonnell Douglas MD-11 in the Mandarin Airlines Old 1990’s Colors Scheme in a 1st Generation mold. Airframe Registration B-151. This model is constructed of die-cast metal with some plastic parts. This product was released in November, 1999. HERPA Model: one limited edition, collectible die cast airliner model in 1/400 scale. All construction is made of metal with some plastic parts, of an Boeing B767-33AER in the Martinair Special Koningin Beatrix - Fox Kids Colors. Airframe Registration PH-MCL. This models is available as of July 13, 2004. HERPA Wings Models: one limited edition, die-cast airliner model in a 1/200th scale of a Fokker F-50 in the Mongolian Airlines Group Current Colors. Airframe Registration JU-8881. This model is constructed of die-cast metal with some plastic parts. This product is available beginning in May, 2013. HERPA Wings Models: one limited edition, die-cast airliner model in a 1/200th scale of a Fokker F-50 in the Mongolian Airlines Group Current Colors. HERPA Models: one limited edition collectable, die-cast airliner model in a 1/200th scale of a Fokker F-27 in the NLM - Nederlandse Luchtvaart Maatschappij Airlines Old Color Scheme. With titles�"Cityhopper". Airframe Registration PH-SAD. This model is constructed of die-cast metal with some plastic parts. This product is available beginning in April, 2015. HERPA Model: one limited edition, collectible die cast airliner model in 1/400 scale. All construction is made of metal with some plastic parts, of an Boeing B757-351 in the Northwest Airlines New Colors. Airframe Registration N593US. This models is available as of January, 2005. HERPA Model: one limited edition, collectible die cast airliner model in 1/400 scale. 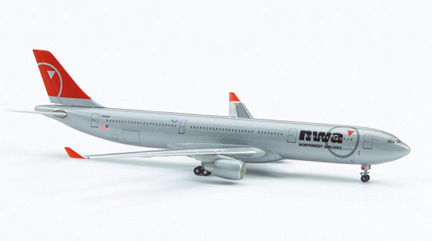 All construction is made of metal with some plastic parts, of an Airbus A330-323X in the Northwest Airlines New 2003's Colors. Reg N802NW. This models is available as of July, 2004. HERPA Model: one limited edition, collectible die cast airliner model in 1/400 scale. All construction is made of metal with some plastic parts, of an Airbus A319-114 in the Northwest Airlines NEW Colors. Airframe Registration N358NB. This models is available as of April, 2005. 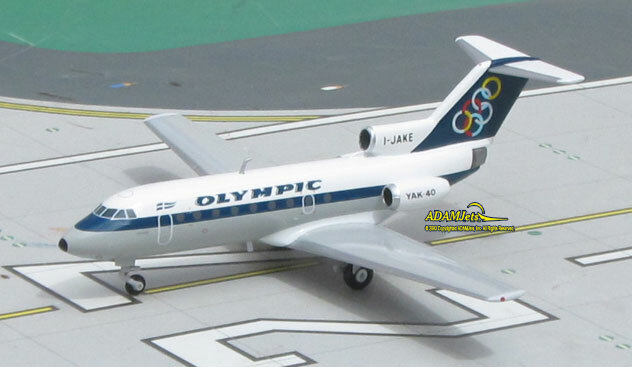 HERPA Models: one limited edition collectable, die-cast metal airliner model in a 1/200th scale of a Yakovlev Yak-40EC in the Olympic Airways Old 1970s Colors Scheme. Airframe Registration I-JAKE. This model is constructed of die-cast metal with some plastic parts. This product is available beginning in March 2018. 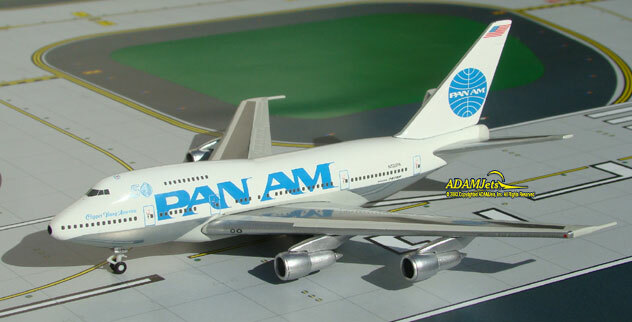 HERPA Models: one limited edition, collectible die cast airliner model in 1/400 scale of an Boeing B747SP-21 in the Pan Am Airlines Last Billboard Colors. With titles ?Clipper Young America? and Logos 50th Flight Hours. Airframe Registration N533PA. The model is constructed of die-cast metal with some plastic parts. This product was released in July, 2011. 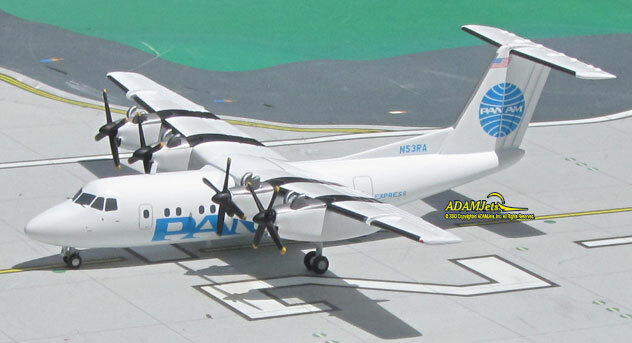 Herpa Models: one limited edition collectable, die-cast metal airliner model in a 1/200th scale of a DeHavilland DHC-7-102 Dash 7 in the Pan Am Express Commuter Airlines Old 1990s Colors Scheme. Airframe Registration N53RA. This model is constructed of die-cast metal with some plastic parts. This product is available beginning in June 2017. HERPA Models: one limited edition collectible, fully assembled, and highly detailed die cast airliner model, in a 1/200th scale of a Boeing B707-321 in the Pan American World Airways Old 1960’s Color Scheme. With a Polished Metal finish and titles Jet Clipper Liberty Bell. Airframe Registration N715PA. This model is constructed of die-cast metal with some plastic parts. This is a collectable model, not suitable for children under the age of 14 years. This product was first released in Released in May, 2019.